Ordinateur monté MSI pas cher - Achat au meilleur prix ! 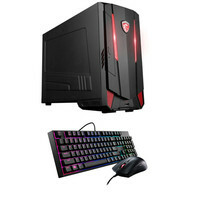 MSI Nightblade MI3 (8RB-060EU) + bundle Fortnite offert ! 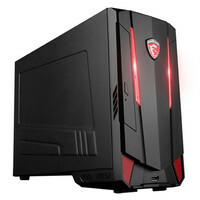 PC de bureau Gamer - Intel Core i5-8400 Hexa Core 2.8 GHz - 8 Go DDR4 - SSD 128 Go - HDD 1 To - Nvidia GeForce GTX 1050 Ti - Windows 10 + 2000 V-Bucks et pack contre-attaque offerts ! MSI Trident 3 Arctic (8RD-251FR) + bundle Fortnite offert ! PC de bureau Gamer - Intel Core i7-8700 Hexa Core 3.2 GHz - 16 Go DDR4 - SSD 256 Go - HDD 1 To - MSI GeForce GTX 1070 - Windows 10 + 2000 V-Bucks et pack contre-attaque offerts ! PC de bureau Gamer - Intel Core i5-8400 Hexa Core 2.8 GHz - 8 Go DDR4 - Optane 16 Go - SSD 128 Go - HDD 2 To - Nvidia GeForce GTX 1060 - Windows 10 + 2000 V-Bucks et pack contre-attaque offerts ! MSI Infinite (VR7RC-616XFR) + bundle Fortnite offert ! PC de bureau Gamer - Intel Core i5-7400 Quad Core 2.7 GHz - 16 Go DDR4 - SSD 128 Go - SSD 512 Go - Nvidia GeForce GTX 1060 - Sans OS + 2000 V-Bucks et pack contre-attaque offerts ! MSI Trident 3 Arctic (8RD-252FR) + bundle Fortnite offert ! PC de bureau Gamer - Intel Core i7-8700 Hexa Core 3.2 GHz - 8 Go DDR4 - SSD 128 Go - HDD 1 To - MSI GeForce GTX 1060 - Windows 10 + 2000 V-Bucks et pack contre-attaque offerts ! MSI Trident 3 Arctic (8RB-201FR) + bundle Fortnite offert ! PC de bureau Gamer - Intel Core i5-8400 Hexa Core 2.8 GHz - 8 Go DDR4 - SSD 128 Go - HDD 1 To - MSI GeForce GTX 1050 Ti - Windows 10 + 2000 V-Bucks et pack contre-attaque offerts ! MSI Infinite (8RB-613EU) + bundle Fortnite offert ! PC de bureau Gamer - Intel Core i5-8400 Quad Core 2.8 GHz - 8 Go DDR4 - SSD 128 Go - HDD 1 To - Nvidia GeForce GTX 1050Ti - Windows 10 + 2000 V-Bucks et pack contre-attaque offerts ! MSI Trident 3 (8RC-099FR) + bundle Fortnite offert ! PC de bureau Gamer - Intel Core i5-8400 Hexa Core 2.8 GHz - 8 Go DDR4 - SSD 128 Go - HDD 1 To - MSI GeForce GTX 1060 - Windows 10 + 2000 V-Bucks et pack contre-attaque offerts ! 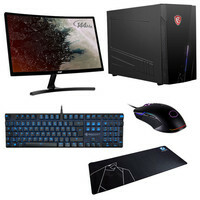 MSI Trident 3 Arctic (8RC-098FR) + bundle Fortnite offert ! MSI Infinite A (8RC-475XFR) + bundle Fortnite offert ! PC de bureau Gamer - Intel Core i5-8400 Hexa Core 2.8 GHz - 8 Go DDR4 - Optane 16 Go - SSD 128 Go - HDD 2 To - Nvidia GeForce GTX 1060 - Sans OS + 2000 V-Bucks et pack contre-attaque offerts ! MSI Infinite S (8RB-011EU) + bundle Fortnite offert ! PC de bureau Gamer - Intel Core i5-8400 Hexa Core 2.8 GHz - 8 Go DDR4 - SSD 128 Go - HDD 1 To - Nvidia GeForce GTX 1050Ti - Windows 10 + 2000 V-Bucks et pack contre-attaque offerts ! MSI Trident 3 Arctic (8RC-097FR) + bundle Fortnite offert ! PC de bureau Gamer - Intel Core i7-8700 Hexa Core 3.2 GHz - 16 Go DDR4 - SSD 128 Go - HDD 1 To - MSI GeForce GTX 1060 - Windows 10 + 2000 V-Bucks et pack contre-attaque offerts ! MSI Infinite (8RC-402FR) + bundle Fortnite offert ! PC de bureau Gamer - Intel Core i7-8700 Hexa Core 3.2 GHz - 8 Go DDR4 - SSD 128 Go - HDD 2 To - Nvidia GeForce GTX 1060 - Windows 10 + 2000 V-Bucks et pack contre-attaque offerts ! 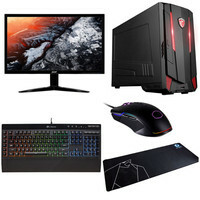 MSI Trident 3 (8RC-248EU) + bundle Fortnite offert ! PC de bureau Gamer - Intel Core i5-8400 Hexa Core 2.8 GHz - 8 Go DDR4 - Optane 16 Go - SSD 128 Go - HDD 1 To - Nvidia GeForce GTX 1060 - Sans OS + 2000 V-Bucks et pack contre-attaque offerts ! 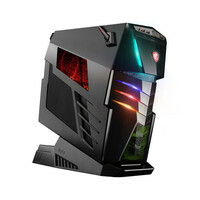 MSI Aegis Ti3 (8RD-SLI-060EU) + bundle Fortnite offert ! PC de bureau Gamer - Intel Core i7-8700K Hexa Core 3.7 GHz - 32 Go DDR4 - SSD 2 x 256 Go - HDD 2 To - 2 x Nvidia GeForce GTX 1070 - Windows 10 + 2000 V-Bucks et pack contre-attaque offerts !